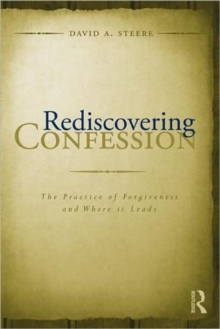 Rediscovering Confession is about recovering the experience of confession, in danger now of becoming a lost art. It identifies four elements present in psychotherapy and confession: a state of heightened self-awareness, a growing realization that our predicament points in some meaningful direction beyond itself, the necessity to make a relevant response to our situation, and a potential for spiritual encounter that accompanies the process. Each chapter contains a section devoted to practice, with exercises for individual contemplation and experimentation, guidelines for forming a confessional partnership, directions for conducting discussions in a study goup, and ways to organize a small confessional group.